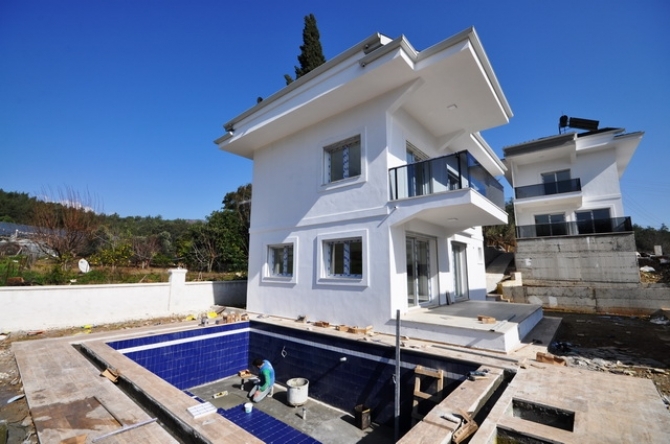 These 2 detached villas will each have its own private garden and swimming pool, they can be found in a quiet residential area of Fethiye. 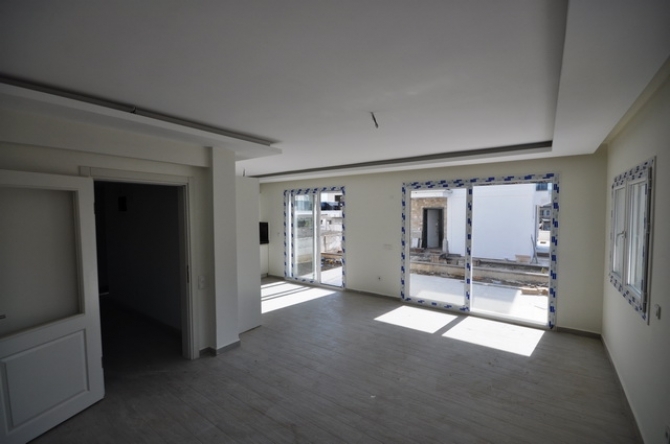 These properties will be constructed over 3 floors with the ground floor opening into a large hallway, from here leads to the open plan kitchen, dining area and lounge with a fully fitted kitchen with plenty of worktop space and cabinets. There are patio doors from the lounge which give direct access to a terrace overlooking the garden area. The lounge is very spacious having many windows and patio doors giving an airy feel to the property. 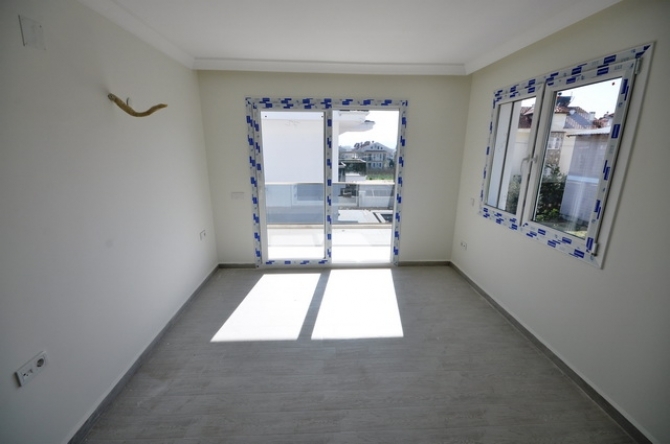 From the staircase leads to the first floor where you will find two double bedrooms, each having its own private bathroom ,one bedroom having a private balcony/terrace. On the attic floor you will find another two double bedrooms, both sharing a family bathroom. The swimming pool has a tiled surround and will have a landscaped garden with grassed areas and a variety of flowers and trees. Each villa will have a private gated parking area. 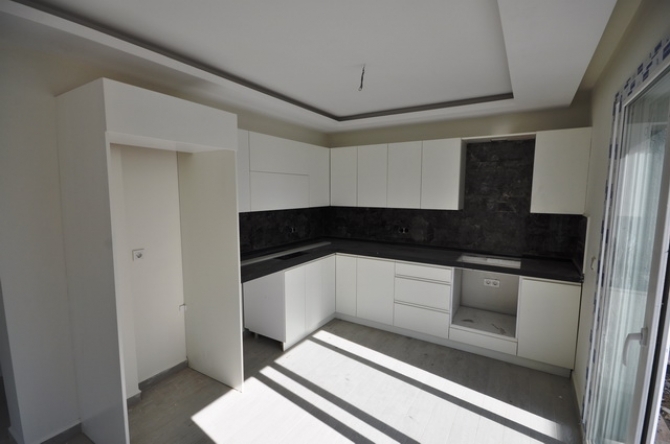 There are two villas available with the prices starting from 810,000TL. 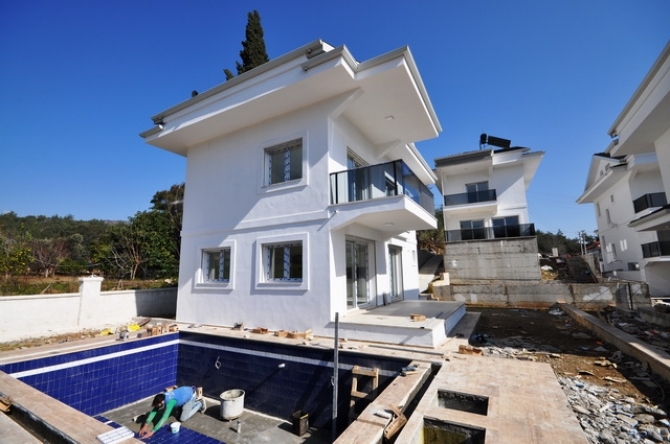 The property has the local bus route running nearby giving direct access to Fethiye Town, Calis Beach and Hisaronu. 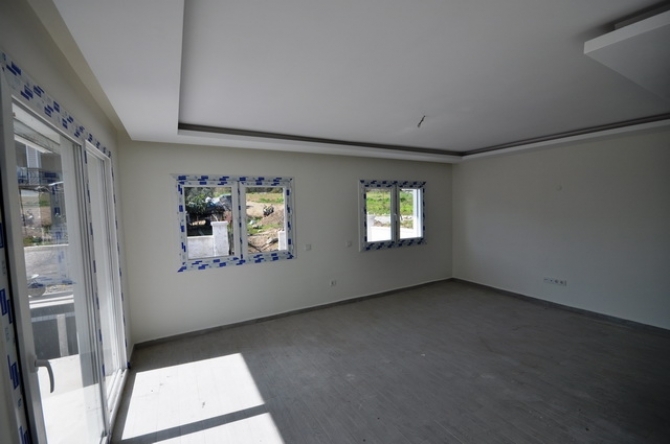 Located in a great area of Fethiye, these brand new villas are spacious and built to high standards, they are ideal for all year round living or as rental investment.